Polioencephalomalacia (PEM) - caused by Vit B1 (Thiamine) deficiency simply literally means softening of the brain. It is a disease that is seen more commonly in Angora kids grazing lucern lands or fed concentrates especially if containing molasses. Goat kids are very prone to thiamine deficiency as the rumen is not fully functional for the first year. Kids who have just begun consuming high concentrate rations or grazing lush pasture are most susceptible. High levels of sulphates (Sulpher) in the diet such as goats grazing lucerne or concentrate diets that contain molasses. Some water sources are also high in sulphur. Any illness or condition that leads to a goat not eating can cause the rumen to function poorly, resulting in a drop in B vitamin production. Presence of thiaminase producing bacteria in the rumen such as clostridia (which is often associated with carbohydrate rich diets) will also result in reduced thiamine production. How do goats get Vit B1 (Thiamine)? Do I need to supplement? B vitamins are not necessary supplements in the diet of a healthy goat. In fact, B vitamins are not obtained by ingestion of feeds at all. Goats manufacture B vitamins in the rumen through micro-organisms during the digestion process which they absorb. 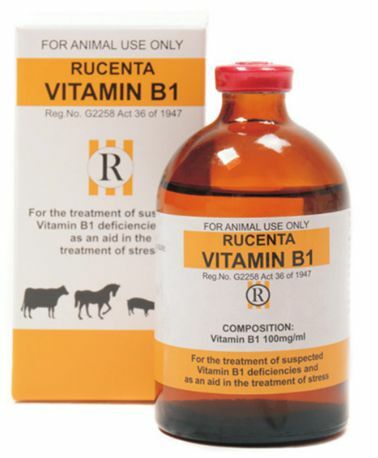 The bacteria in the rumen produce enough thiamine for an animal’s needs. However, under certain conditions thiamine production may decrease or available thiamine may be destroyed leading to a deficiency and the appearance of clinical signs. Keep in mind the predisposing factors mentioned above as there may be times when you do need to supplement Vit B1. What clinical signs are seen? Nystagmus – flickering of eye. The Neurological clinical signs resemble those seen in Heartwater, Pulpy Kidney and cumulative bufadienolides causing ‘Krimpsiekte’. Make sure you treat with Vit B1 (Thiamine) as the other Vit B’s will not help! Ensure the concentration is high at least 100mg/ml. Vit B1 (thiamine) intramuscular injection (10 – 20 mg/kg body weight) given every three hours for a total of five doses. Early cases respond within 6 to 8 hours with complete recovery in 24 hours. 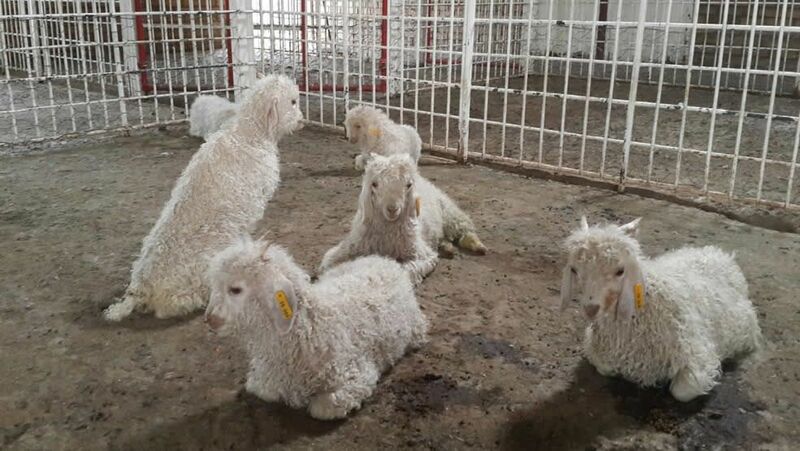 Goats not recovered by 72 hours will never fully recover. A goat will not overdose on an injection of B vitamins. The excess is expelled through urination. The administration of probiotics assists with proper micro-organism balance in the rumen.